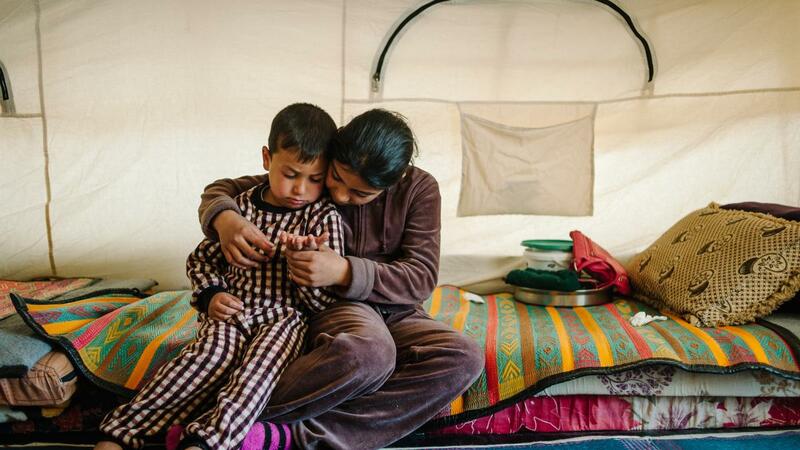 Zariya’s mother, Maryam recounts the changes in her daughter during the two years they lived under ISIS. “She was so afraid that Daesh (ISIS) might do something to her. She became just so scared and afraid. “Whenever we needed to go out, Zariya would be so worried about covering everything. “I would even ask her not to cover so much, but she refused. 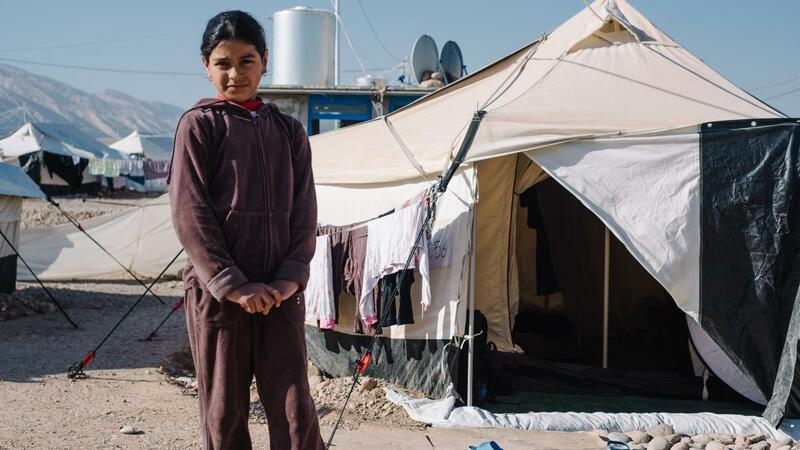 Zariya, now 10, lived on a farm in a village near the city of Mosul with her little brother, now 4, her sister who has Downs Syndrome, now 14, her parents and her grandfather. 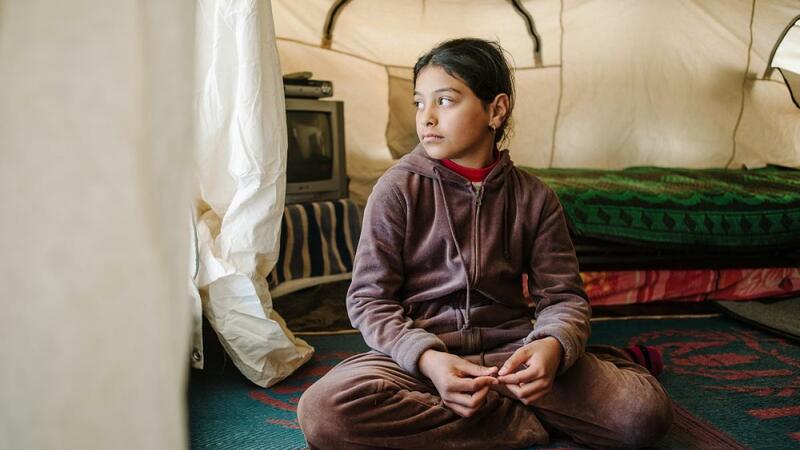 When ISIS came, she wasn’t allowed to go out anymore and all her friends moved away. Her mother pulled her out of school when she realised what was being taught to the children. Her only friends were her cousins that would visit from time to time. Zariya’s grandfather felt so bad that the children were stuck inside that he built them a playground in the garden. And he got her a bike which was her favourite toy. On the 23 October, in the midst of fighting between ISIS and the Peshmerga fighters, their lives changed again. “On the same day the bombing happened, I changed my room decor and put carpet and a new bed cover, and I didn’t get to enjoy it” Zariya laments. The house was completely destroyed by the bombs. 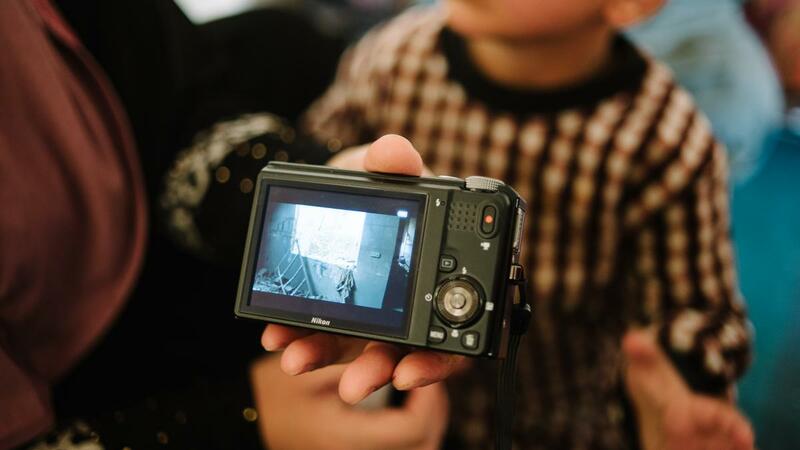 Zariya’s grandfather shows us a video he took of the rubble that was left; just the structure of the house remained. Now that they are at the camp, they face new challenges. Maryam’s husband is still being admitted through the camp process so is not with them yet, and its furthering their trauma. The children miss him, especially Zariya, who begins to cry as soon as she talks about him. When they got to the camp, Zariya was reluctant to play and join the other children. 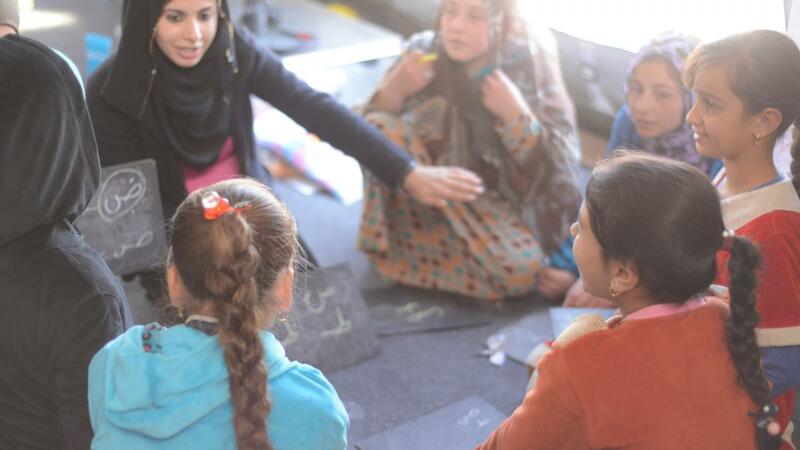 Their neighbour, Bashar, an education facilitator at War Child’s Temporary Learning Space (TLS), noticed she was always hanging around outside the space and started coming over to visit her. 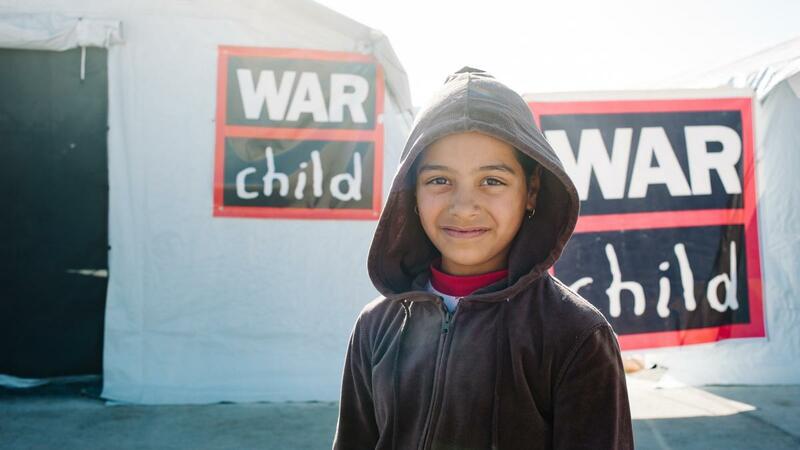 “When Bashar started working at the [War Child] centre, she would look at me and just smile. One day Bashar came and talked to me and then from that day we became friends,” Zariya said. 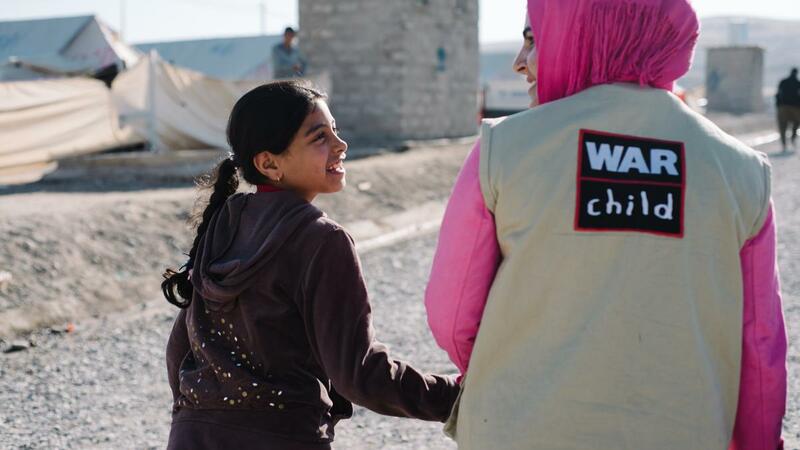 Since going to the War Child TLS, Zariya has now also started going to school in the morning. “I realise that even these three days she’s been forgetting about what happened. She’s not asking about her father, and she’s busy with her friends. Zariya says her favourite activity at the War Child TLS is drawing, and she jumps up to show me a drawing she’s saved in a pocket in the side of the tent. 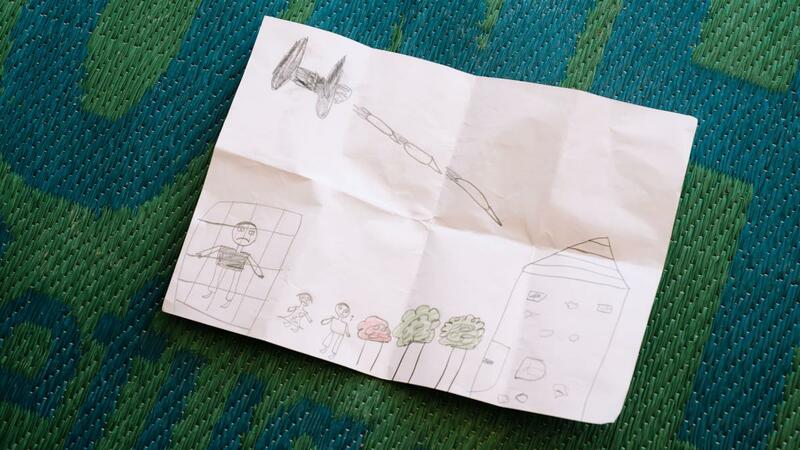 But she’s also drawn an airplane with three bombs heading towards the house. And her father crying in jail [where she thinks he is] and her sister and brother crying outside.